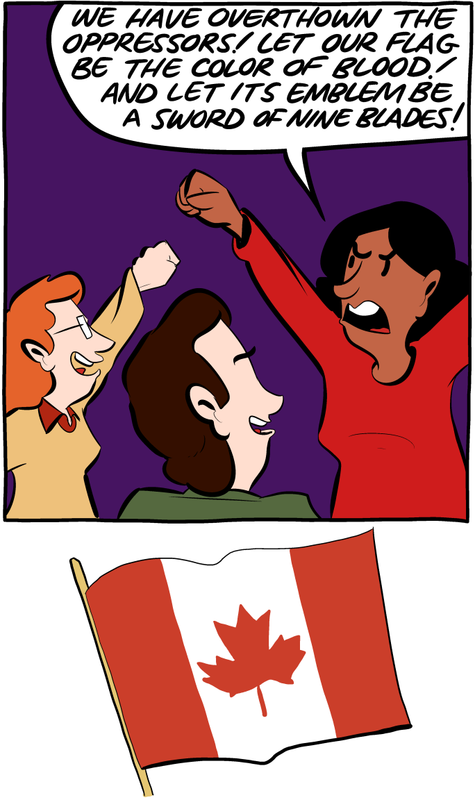 SMBC Comics Forum • View topic - [2015-03-15] Canadia, Zach is onto you! [2015-03-15] Canadia, Zach is onto you! Zach has figured you out, bloodthirsty Canadians! 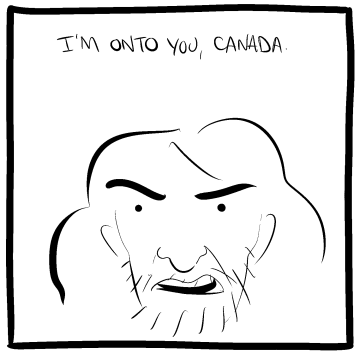 Re: [2015-03-15] Canadia, Zach is onto you! This is what Stephen Harper actually believes. This comic is bogus. The Canadian flag is the colour of blood. Guest1 wrote: This comic is bogus. The Canadian flag is the colour of blood. You got a point there. We're on to you on that one too, Canadia and rest of the world! The U stands for 'conqUerors'--clear slang for what you plan to do. Clearly it was written in American, only because Americans can't read Canadian.